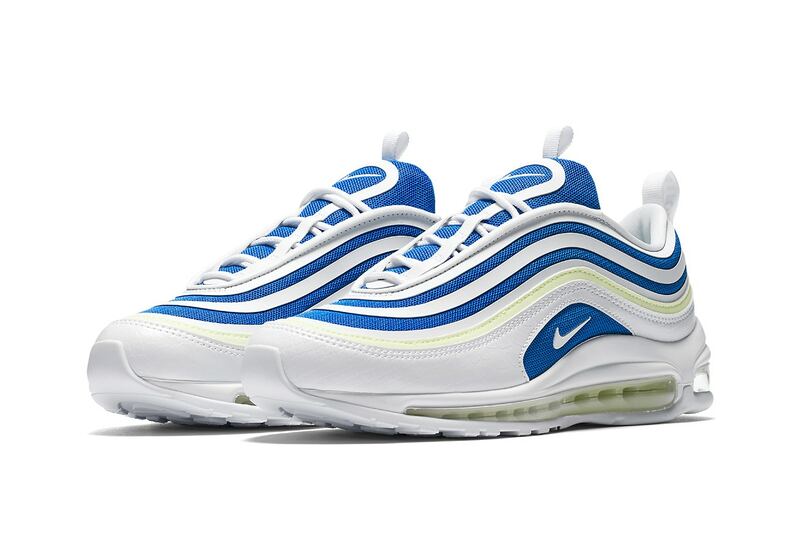 Air Max 97 Ultra has just incorporated a new “Sprite” color scheme with the combination of neon and blue throughout its layered upper. The white is the dominant color visible on the outsole, mudguard and full length Air Max unit. Then subtle details such as a scale pattern on the mudguard complete the new colorway. Dope or Trash?